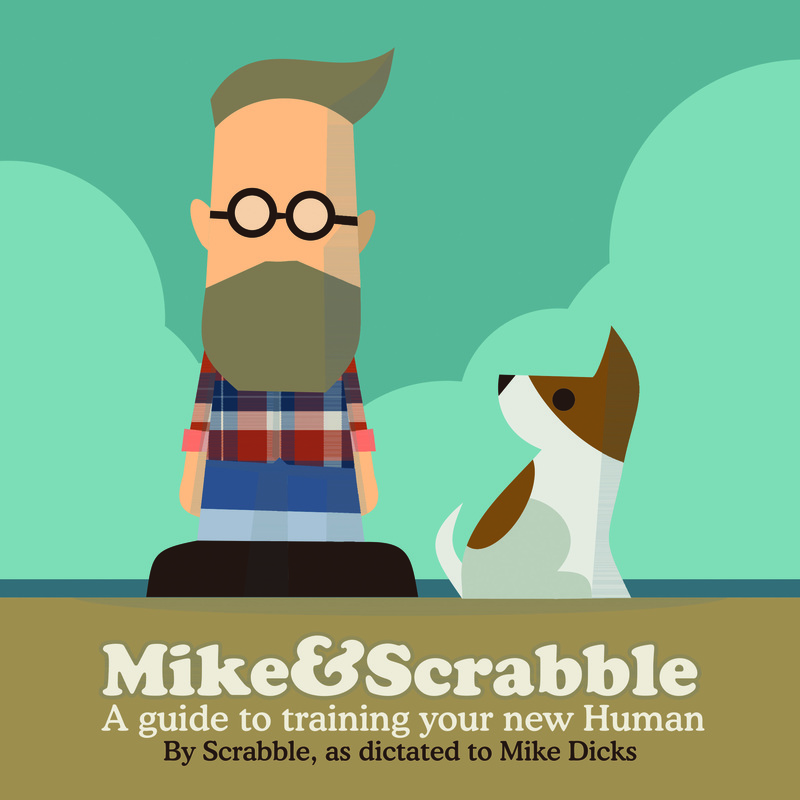 Mike & Scrabble is an often funny, sometimes melancholy, and occasionally accurate guide to understanding the relationship between a dog and a human. A picture book for adults that grew out of one human trying to remember why he ended up with a dog, and sharing his thoughts as pictures on social media. There are many wise, practical, and academic books that explore the relationship between pets and their owners; Mike & Scrabble is not one of them. Instead, this picture book for adults gives an insight into the mind of a dog who has acquired a slightly damaged human, and sets about trying to train him. 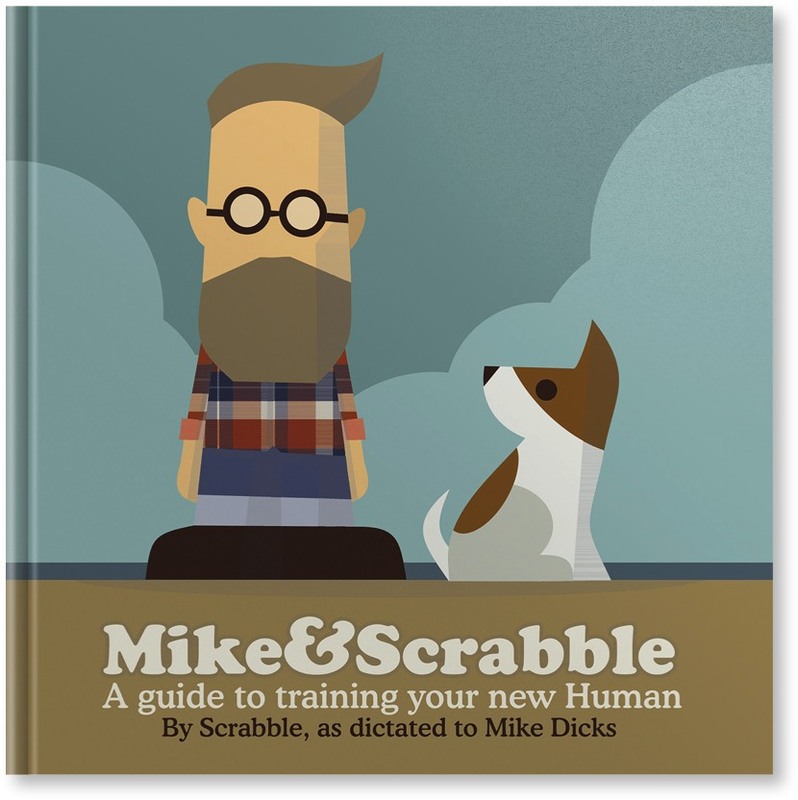 Mike & Scrabble's simple illustrations and one-line observations were originally designed by Mike, despite what Scrabble says, as posts for Twitter and Facebook, to joke about becoming a dog owner. The posts gathered a following of loyal fans, mainly dog owners (about 90%), mainly women (about 55%), and mostly English or American (70%). Except for one fan in Vietnam. This is a book that dogs will buy, but as they have trouble using an iPad and don't keep money on them, it may well be attractive to their Human pets.